L. B. Brown's legacy as a community leader, home-builder, and highly successful businessman is remarkable and when considered within the context of his enslaved birth and limited education his achievements are magnified. 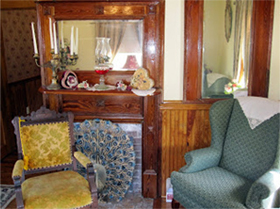 Click to view restoration photos of the L. B. Brown House. To preserve the historic L.B. Brown House for use as a monument to the legacy of successful former slaves. The L.B. Brown House was designed and constructed in 1892 by a self-taught master carpenter, Lawrence Bernard Brown. Mr. Brown was born into slavery in 1856 and had limited formal education. Lawrence Brown overcame those debilitating circumstances and became one of Polk County's most successful businessmen and community leaders. The home that he built has nine rooms. It is an impressive two story structure with a generous amount of Victorian ornamentation. Lawrence Brown was named "A Great Floridian" by the Florida Department of State. 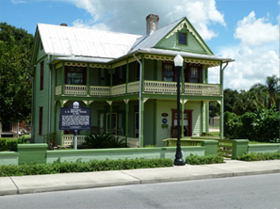 The house is listed on the National Register of Historic Places and may be the only one of its kind in Florida, still in existence, that was built and owned by a former slave. It is also one of the exhibits in the Smithsonian National Museum of African American History and Culture in Washington, D.C.
Visit our photo section to view pictures of the house before and after the restoration.